America's legendary female athletes, tennis icon Chris Evert, winner of 18 Grand Slam singles championships and downhill skier Lindsey Vonn, a U.S. Olympic Gold Medalist -- to name just a few -- make me proud to be a physically active American woman. Similarly, my two triplet daughters, who ran in the Jerusalem Marathon exactly a week ago instill a pride like none other that inspires me every day as a mother. Unlike Evert and Vonn, these two athletic teens hold no world records. But both these young women humbly take pride in accomplishing something just as great: running over the finish line in their second half marathon to raise money and awareness for inclusion on behalf of Yachad, an international non-profit group dedicated to serving physically- and mentally-challenged young adults. An organization that both of them have volunteered for since they were 12 years old back in their hometown of Los Angeles. As my young daughters prove first-hand, there is amazing, seemingly endless potential in every young athlete. If you will it, you can do it is a great motto we all should live by. You don't need to be a world champion to make a real difference and inspire family, friends and people whom you may not even know personally. As a mom I want my girls to have every advantage when it comes to performing at their best athletically and in service to the community. In fact, in the months leading up to their big run in Israel last weekend, I was constantly checking in with them on their training regimens and cheering them on. Like professional athletes, in addition to proper training and physical conditioning, even amateur athletes need to take everything they do before the big race seriously to avoid potential injury as well as to maximize the chances of a strong finish. Among the most important of these to-do concerns is being properly rested, fueled and hydrated at the outset before race day even arrives. But it doesn't stop there. Once the competition begins, it's essential to maintain adequate hydration throughout and immediately after the big event itself. 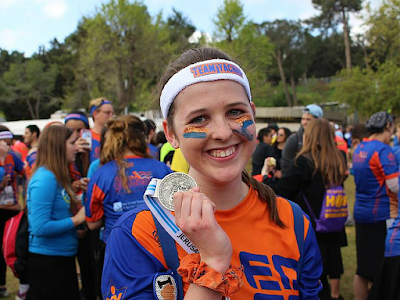 This is true whether you are running a marathon (or doing any other sport that causes perspiration) in a warm, dry desert climate such as in the Middle East or in a hot, humid one like Florida where my daughters also ran last year in the Miami Marathon with Team Yachad. Water just isn't enough for endurance to fuel your athletes and mine in marathons and all other sporting events in which they participate. So it's good to know about a product like POWERADE, the ION4® Advanced Electrolyte System which helps replenish the four electrolytes lost in sweat: sodium, potassium, calcium, and magnesium. Additionally, this athletic drink is formulated with a 6% carbohydrate solution, delivering energy to working muscles while also providing the body with needed vitamins B3, B6 and B12. And that's not all. POWERADE is offered in a rainbow of delicious flavors ranging from Mountain Berry Blast® and Fruit Punch to Orange, Grape, and Lemon Lime. Also offered are POWERADE ZERO with the same benefits of classic POWERADE but with ZERO calories. All are available in an assortment of multi-pack sizes from 20 to 32 fluid ounces right now instore and online at Walmart at low, affordable everyday prices. Stay on the fast track of knowledge by following Walmart @Walmart on Twitter and Facebook and POWERADE @POWERADE on Twitter and Facebook. 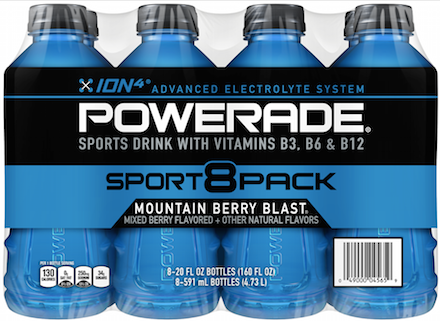 Best of all, there's a limited time Walmart/POWERADE offer going on right now that both you and your athlete will appreciate. First buy two 8-packs of 20 ounce POWERADE at Walmart. 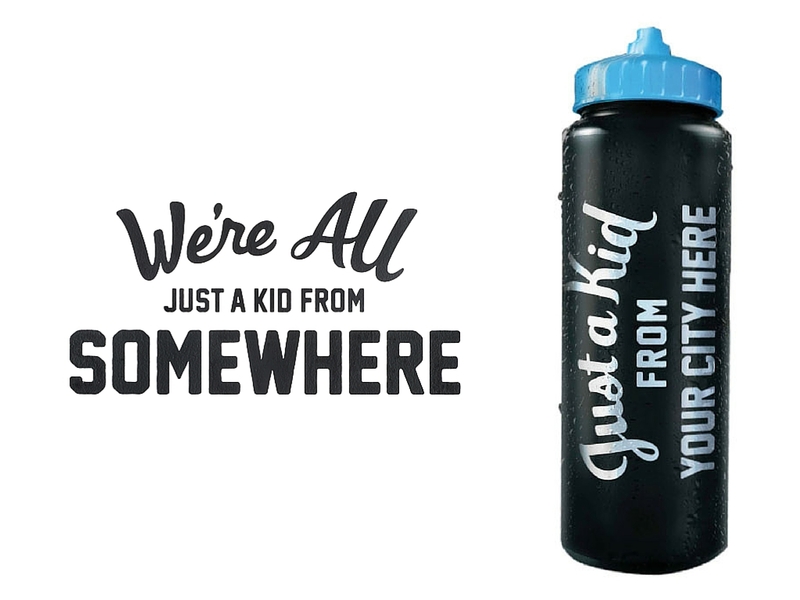 Then go online HERE and submit your receipt to order a custom "Just a Kid" reusable sports drink bottle. Good until April 4, 2016 or while supplies last. Also be sure to check out the custom "Just a Kid" apparel featuring where you're from. All net proceeds from sales of "Just a Kid" apparel go to the Boys & Girls Club of America. 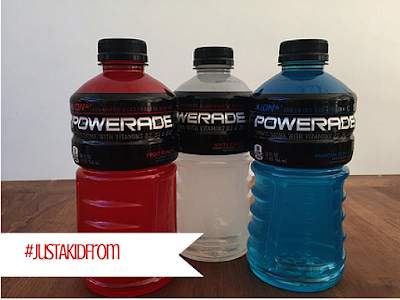 FTC Disclosure: This is a sponsored post for SheSpeaks/POWERADE and I received compensation for this review. However opinions in this post are my own. See complete FTC Disclosure information that appears at the bottom of MommyBlogExpert's main page and at the bottom of every individual post on this blog, including this one. It is so rewarding to be an athlete and you don't have to be famous. I play tennis and it is so enhanced my life and the group I play with. We play 2 or 3 times a week, have a competitive team and do community outreach to promote the sport. It is a fantastic way to stay fit, healthy and socially active. Plus powreaide is my go to for the hot humid days...replacing electrolites at my age is a must. I know you must be so proud of your babies! I have never been a runner so I can't even imagine what it took for them to go through in order to complete this. So nice that it supports a good cause too! 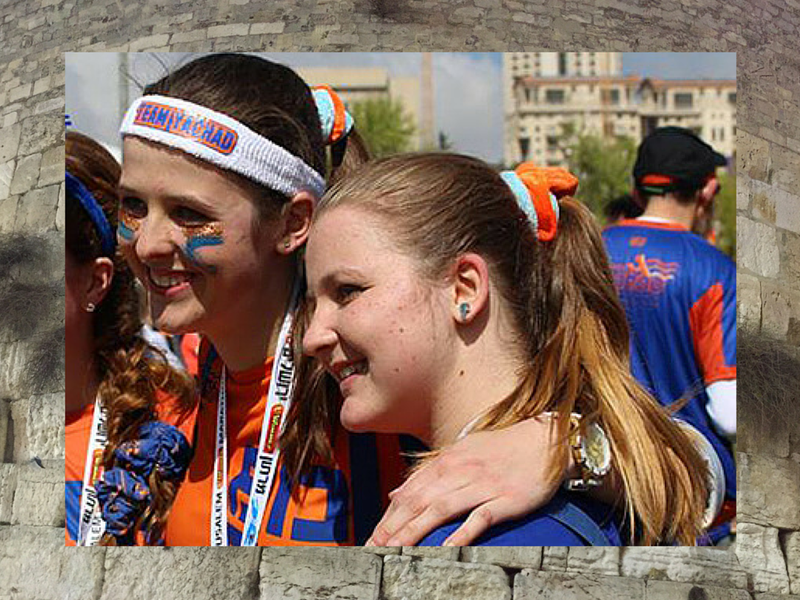 Congratulations to your daughters on completing a marathon! 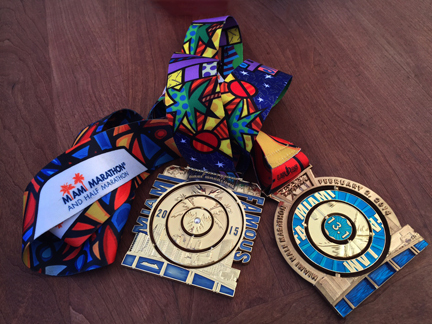 That is hard work - lots of training and mental strength! 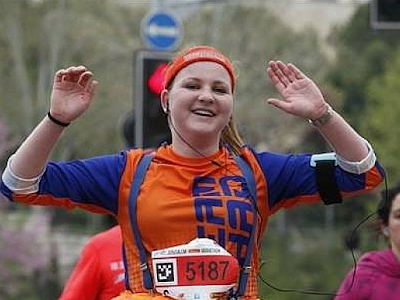 I have run half-marathons, but have never felt fit or fast enough to tackle a full. They are an inspiration!